Why are formal methods of coaching failing? Coaches in soccer academies and clubs work hard for years using all the “tested and proven” methods and yet are consistently failing to produce top soccer players. On the other hand, world class players such as Pele, Cruyff, Maradona and Ronaldo to name but a few, have learnt their superb soccer skills from a very young age without any formal coaching in alleys, parks, school playgrounds, beaches and wastelands. In fact, future champions are right now using their natural intelligence and enthusiasm to build their skills in the same natural way. Coaches and teachers can not coach players effectively because soccer mentors, through force of habit, insist on recommending the old bumpy roads of past victories. It is evident that not only are they developing just some of a player’s abilities, but they are using the wrong methods as well! They are guilty of 3 Deadly Mistakes which prevent a player from achieving their true soccer potential. Mistake #1 They focus on specific and isolated physical skills without taking into account the spiritual and mental dimensions of a player. Mistake #2 They employ drills assuming that mere mechanical repetition will internalize a skill. Mistake #3 They use conventional 11 a side games to teach the adult version of the game to young players. If you want to create future champions your players must excel at 3 areas. Soccer the Futsal Way guide includes it all, mastery of all 3 KEYS and each one directly under your control. 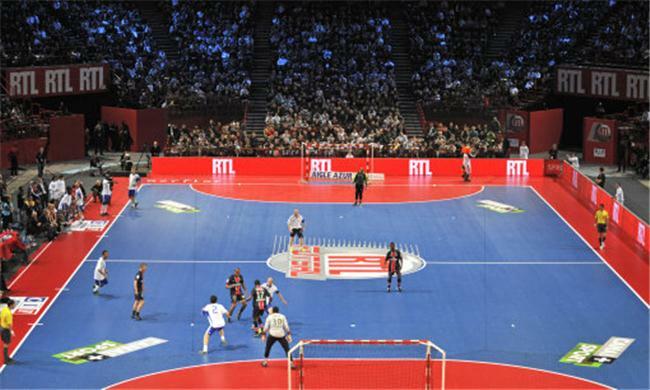 Futsal is the official small sided version of the game approved by FIFA and provides the ideal context to develop physical skills and tactical qualities. It is no incidental that the three R’s (Ronaldo, Rivaldo and Ronaldinho) all came from Futsal. Developing the body and ignoring the mental and spiritual side of a player is the most important reason players take so long to master their skills. In Johan Cryuff’s own words: “Football is a game you play with your brain.” Cognitive games provide the only setting where the physical, mental and emotional domains are forced to interact to solve game problems. They provide depth of learning and create memory patterns so that what is practiced easily transfers into the game. Use the 3 keys and you will succeed. Why? Because there are no other variables. The real secret is that your players must use all 3 of them. Mastery of a single KEY is useless without the other two pieces of the puzzle. For example, your players are very good at passing or dribbling but they can not find inspiration to move on in the face of seemingly insurmountable objects? They will not get very far.